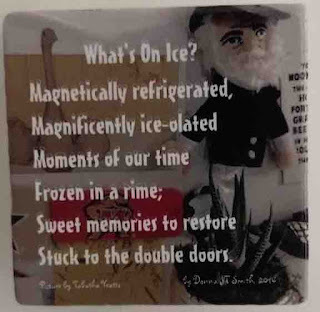 Buffy Silverman posted some refrigerator poetry she and her daughter did, and one line caught her attention as she was editing her composition. My think was to add to it, like a progressive poem. Only maybe using pre-packaged words. Refrigerator magnets, words from a page on a book, words on book titles... whatever. Just show the source of your words you used. Found stuff! Sign up? Or just add a line. Maybe the line doesn't have to be in an order. Maybe we should just do lines and then try to put them together into a poem. That might be too hard. But signing up seems difficult also. Sometimes I don't have enough traffic to get enough to sign on. So it will be a one shot deal... throw in your line! If you have an interest and a bunch of words somewhere... Next poetry Friday I'll be asking for more lines to add to this for the NEXT poetry Friday. What else do these ferocious women do to sweeten our lives? It will be a kind of list poem. I'll arrange the lines when they come in. Hope you can join in for a bold, hopeful, joyous Poem Potpourri! Whoops! One more Haiku for you... to close December's #HaikuforHealing, and 2016. It is the end of the year, last day tomorrow. It's Party Poetry Friday here today though! 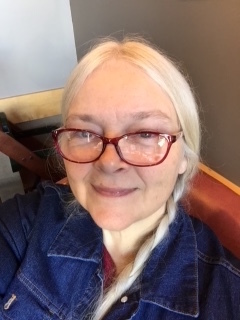 I am happy to have had this wonderful year to be writing and reading and getting to know everyone another year more and meeting new bloggers and poets and writers. 2016 has been a pretty good year for that. There is not much I would do differently about this year, and next year I hope to have as much boldness as this year. I liked the word BOLD as my OLW this year. Other years I'd picked a word, but none grabbed me as much as this one. What will my next word be? It needs to be one that fits my life now. My first thought was CONTENTMENT or just CONTENT. But I don't want to just be a stagnant CONTENT. I want it to be a BOLD word - a strong CONTENTMENT. Maybe COMMIT. I will think about it some more. I'll let you know. I hope everyone had a year that was productive and memorable in good ways, and that 2017 will bring even more wellness and joy to each and every one! I am very optimistic. Maybe that is the word I need? OPTIMISTIC/OPTIMISM? 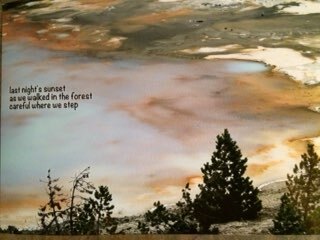 My Bold Haiku 30 for #HaikuforHealing - a prompt and challenge to write a Haiku a day for the month of December given by Mary Lee Hahn. Now, for YOU! Remember to link up today! Looking forward to hearing everyone's end of 2016 offerings! Next: on to 2017. I'm game. 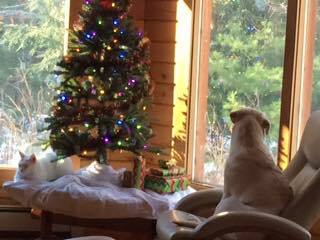 This morning was our official Christmas. The family was here. My grandson awoke first and started the day with a HUGE bowl of oatmeal...Bob's Red Mill... with cinnamon, maple syrup and blueberries. Yum. 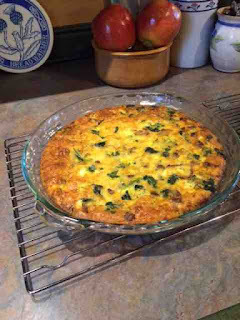 It's not on my list of ok foods, so I then whipped up a couple of crustless quiches for the adults... hamburger, bacon, sausage, onion and spinach sauteed together... eggs, some heavy cream, plain yogurt and grated cheese mixed together. Meat and egg concoctions stirred together. Two buttered pie plates to pour it into. An oven preheated to 375. About 45 minutes of time to wait. Then - oh, yum. After breakfast, presents. I wrap the presents in a different paper for each person - no name tags, so it was fun to watch the kids pick up presents and hand them off to someone else. Often they sat right there in front of the person to see what was in the package, ignoring the fact that they could easily have gone and gotten another present that they could open for themselves. The opening time was extended, relaxed, and fun. We put the Amazon crackling fire on the tv for ambiance. 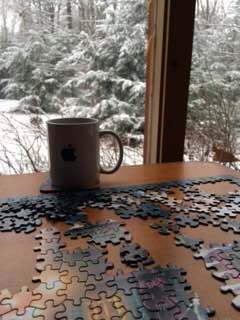 Later, we worked on a puzzle, and started a gingerbread house - which my 2 year old granddaughter calls a crackerhouse. Candies go on tonight - pictures tomorrow. Haiku 27 - I worked on this a bit, but never really felt like I got to the heart of it. So I wrote it out thinking that would help. It didn't. So I'll just put the "long version" explanation part here and put the haiku at the end. Maybe sometime I will be able to put it together just right. Gifts have a season - sometimes you are the recipient of gifts and at other times of your life you are the giver of gifts. In either case you are blessed. You are blessed in giving to others and blessed both by the gift bestowed upon you and the ability to allow another person to be a blessing to you. When you receive blessings or gifts from others, you should always be looking for the time coming when you will be a blessing to someone else with what you can give. 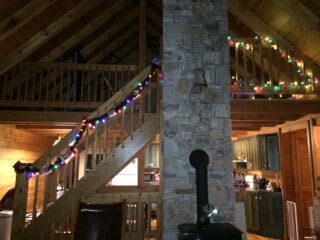 Because my family will be here tomorrow for our "present" Christmas, tonight is essentially Christmas eve in our worldly sense. Yesterday we did not celebrate Christmas as we had thought we would originally. We planned to be at church bright and early for Sunday School, then church, then dinner with my brother and sister-in-law and son, then all of us back at church for the evening. But upon waking, my husband's gout had kicked back in and he was not able to walk. He slept until 2:30 pm, having been awake most of the night. I got up as usual thinking I might just go down to church anyway. Our church is over an hour away though, and it had been raining the day before... temps were down in the teens, so roads were very slick out here on the island. It was decided that I would stay home and make sure my husband could get what he needed and get to where he needed to go. 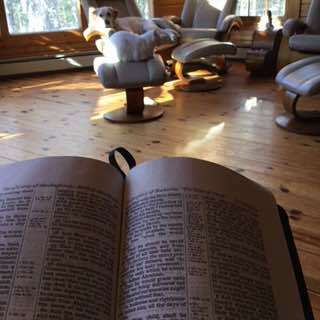 I made coffee and a small breakfast, then sat in the living room with my Bible. The animals had been stirring for quite some time. The cat, Noah, loves to tease Ginger, and they were playing a game of Hide and Seek amongst the gifts under the tree. 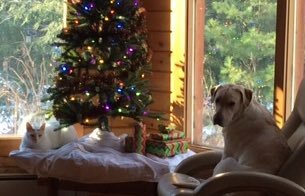 I noticed that one gift would need to be rewrapped, having been chewed open on the back corners under the tree. Thank you, Noah. And the front corner had been nibbled on. Thank you, Ginger. I rearranged the gifts, taped over holes, and pulled out the Bible again. And I started to read softly aloud from Luke. As I did, the animals began to settle down. Ginger curled up in her favorite chair, alert and watching me. She appeared to be listening. Noah got on the footstool by Ginger's chair. He curled his feet under his chest in contentment. I read all of Luke chapters one and two aloud just barely above a whisper so as not to disturb my husband finally asleep in the next room. These two creatures never stirred until the reading was over. 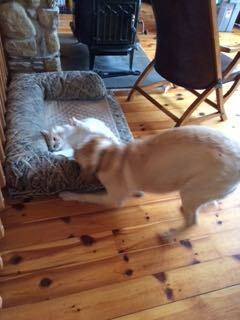 The cat got down and moved to the dog's bed for a nap. The dog leaned her head on the arm of the chair. Soon she too was asleep. I poured another cup of coffee, and thanked God for another blessed year. Make your Christmas any day, any time and any place, and and may it be all of those. There is no more blessed gift than His. Hope your Christmas brings you a joy and a comfort, and a peace that passes all understanding. A double Haiku for Healing today... What a crew I have here! Can hardly wait for the grandchildren to arrive! Haiku #23 and #24 I'm current! Whoo-hoo! Have a MERRY CHRISTMAS... as you can see, we have already started our MERRY! It is soon to be Christmas Day. I'm excited for the day after Christmas and the morning after that. That's when we will be having "presents" day. Christmas Day will be spent at church, morning and night. The next evening, my daughter, her husband and children; and my son will be here for the opening of presents. 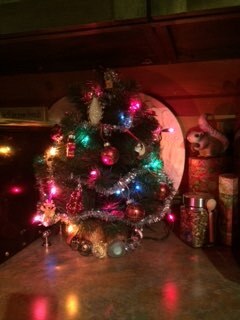 I've decorated, but I'm holding off on the baking. I don't do gluten and I don't do much for carbs. So it should be an interesting holiday again this year. But I'm not messing up my new way of eating just to join in. I can have a good time regardless. I'll watch my grandchildren eat the sugar cookies and candy canes! But when it IS time to cook, I can thank Jone Rush MacCulloch for some festive and decorative essentials! I have a new oven mitt and dish towel with cute snowmen on them. The kids are going to love them AND I can keep them out this year. 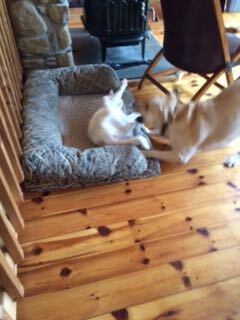 Ginger (the yellow lab) has stopped stealing towels and eating them! This should make life easier! 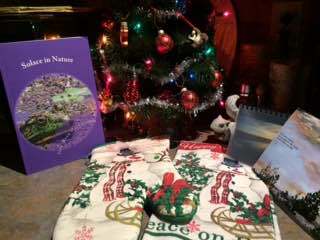 Jone sent the gift along with a collection of her poems in "Solace in Nature", a postcard with a beautiful poem and photo she created, and a beautiful desktop calendar with her gorgeous photos and poems. They are so, so beautiful! Although it is a desktop calendar, I think I'm going to rig up some magnets to keep it on my refrigerator. Since retiring from teaching, I find it is harder to remember what day and date it is! I miss doing that "morning message" on the big chart! 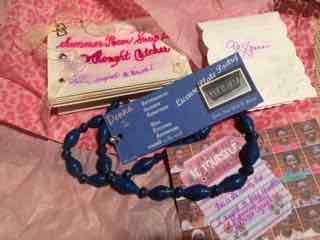 Jone, thank you so much for your wonderful assortment of poetry and photography, along with the practical and pretty kitchen items! Now for more fun - and quite possibly more exchanges being shared - head on over to see the Poetry Friday round-up with Buffy Silverman at Buffy's Blog! Next week I'll be hosting Poetry Friday! I look forward to seeing (and reading) everyone at the end of year Poetry Party right here! Today has been a great day for staying inside - for me anyway. The nice thing about a Lab is that they love to fetch. 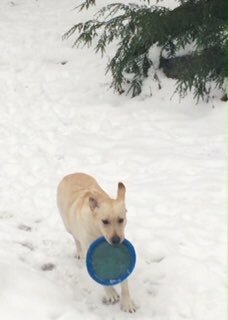 So I can stand on the porch, throw the frisbee or ball - she runs after it or catches it, then returns to the porch for me to do it again. She is getting low on toys now though. She has lost two in the snow. We/she has four left. The two she lost were in direct violation of what we had as an understanding. Last night she took it upon herself to go sniffing with the toy in her mouth and she ignored my calls to "Come". It was dark and she went into the woods. There are a lot of acres of woods around us, and she is collarless, though micro-chipped. I had no idea where she went. I got a flashlight and peered into the woods. 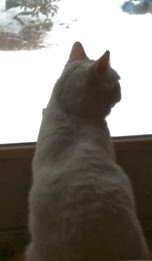 I could no longer hear her crunching as she moved through the snow. I went and got my car keys and tried to shine the headlights into the woods. Still couldn't see or hear her. As I started to back the car up to go in search on the main road, she came panting up the driveway. She appeared to have had some fun judging by the smile on her face. I yelled to get to the house, and she did. Popped up the steps, skipping most of them and waited for me to stop the engine and get to the house. There was no real look of remorse, but she did go right into her kennel. She stayed there for about an hour to consider her transgressions. She never made a whimper or protest. Just settled in. It seemed she knew she'd done wrong, but had weighed the consequences earlier and found the adventure worth the time she'd spend behind bars. Today she has her training collar on again. Time for a refresher course in "Come When You are Called" - or "Don't Just Go Off and Eat Deer Poop When You Feel Like It". She hasn't even tried to leave today, though I did zap her once quickly when she didn't respond immediately to my command to come. She's a smart dog. Sometimes that's good. Sometimes it isn't. I'm behind again in haikuing. I just get so busy, and start a haiku and then begin playing around with it until it is time to do more stuff and I'm not done with what I WAS doing. Didn't find one. 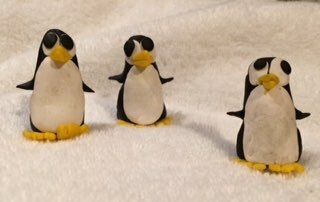 So I'm looking at this picture I took of three penguins I made to give to my Sunday School kids next Sunday. They won't read this, so I'm safe. Two weeks ago I brought a beautiful box and set it on the table for them to see. Then we talked about waiting. And I told them they would have to wait to see what was in the beautiful Christmas box until the end of class. When we opened it it had three small packages of Fimo clay - yellow, white and black. It didn't look very special. I told them they would have to wait more and find out how this plain, ordinary looking stuff would be special. 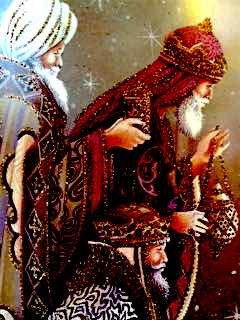 It was the story of waiting for Jesus, and how he came as an ordinary baby, not the great king that people envisioned. The children were to have gotten their penguins last Sunday, but because of the snow and ice storm, many were absent and Sunday School plans changed. This Sunday is Christmas, but we are expecting that everyone will be in their places... weather permitting... and they will receive their penguins then after a recap of the Christmas story. I am praying that they don't come away with the lesson that there were penguins in Bethlehem... you never know with 4-6 year olds. There were cars all over the place that couldn't get up hills or around corners. For some reason the street crews were not to be seen. I'm wondering if they heard the weather for the next day, Sunday, which is calling for rain and 50 degrees. Last night it was 3 degrees below zero, so I think they were waiting for the freeze to be over and hopefully save money with snow melting. At any rate - here are my two haiku for today. I'm caught up. These are # 16 and #17! Your seat greets the street. BTW I did not fall today. I did, however, fall the day before... in the woods... I was fine - don't worry! Just tripped over a fallen branch while walking backwards dragging Christmas lights to a little tree. Never did get to light it. Extension cord was too short. It's Poetry Friday, and though I'm a little late posting, I couldn't let it go by without a Haiku - or two. I'm almost caught up. Christmas may get a little tricky to keep on track, but I'm going to try! 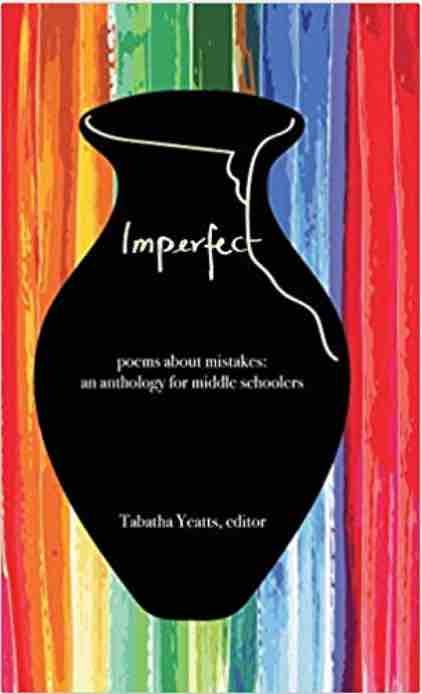 Now to read more poetry this Friday and all week head to Tabatha at The Opposite of Indifference! Beginning of December last year. I have now held steady for a few months. I am starting up again just a bit more seriously, as I'd like to do a few more pounds. So going lighter on the yogurt for desserts and back to heavier on the bacon! In honor of that, I'm haiku-ing for my health today. These will be #10, #11 and #12. Time to break bread ties. Such loss is sweet gain. This is not the easiest thing to do when Thanksgiving and Christmas are holding hands with pumpkin pies and chocolates, and "specialty drinks" at Starbucks! But not impossible. I do like bacon. It's almost a dessert. ....And writing a Haiku. That's always good for dessert. 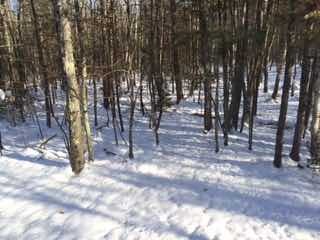 This morning, I watched a nice fluffy gray squirrel make his way through the woods. In summer you can't see them well because of all the foliage. But in winter the sun shines through the trees, making long shadows earlier in the day than I think appropriate. I watched him scampering over the snow mounds and through the shadows, to the small stream. He stopped to get a drink and then burrowed down through the snow to the buried oak leaves. He fetched an acorn or some other small bit that he sat and nibbled on for a while before moving on. He was my haiku today. Yesterday I saw a big gray squirrel who was thinking about crossing the road just as I was approaching. He changed his mind, but then he appeared to lose his mind - as squirrels are wont to do. He didn't run back in the road as they sometimes will do when changing their mind, but he did start scampering back and forth in the snow on the side of the road for a while before finally deciding to high-tail it back to the woods. I just wonder sometimes what they are thinking. I hate when they change their minds at the last minute, and I can't adapt to their last minute decision. This morning we woke to the sounds of coyotes on the banks on our island's riverside. They were loud and close, and it makes me nervous when the dog has to go out. We make sure she has her training collar on and that the barking has died down before allowing her outside. If it's dark, before releasing her I also scan the area with a flashlight to see if there are any eyes reflecting back at me. I also heard gunshots, so we may be a little short on coyotes this morning. That would be a good thing. It sure hurts to land on those winter ice spikes! There's nothing like a nice thin layer of water on top of ice to make your evening trip into Starbucks exciting! "Oh, come let us adore him"? Or will we stay home? It is such a dilemma when Jesus gets in the way of celebrating His birthday. Seems really like this would be a most special way to celebrate and remember why this holy day exists. Just a thought. I don't know if you have ever listened to footsteps on a frozen snow, especially frozen slush. You cannot walk quietly in chunky snow. It protests SO much! And you can guess how we spent Saturday morning. It was 16 degrees last night and sometime in the night the boiler stopped circulating the nice warm water as we slept. I hate that slow awareness that comes to you as you waken and realize that something is amiss. Your nose is colder than it should be. Your legs and feet are starting to feel the cold seeping in between the threads. The spaces between threads shouldn't be that large - you have good thread count. Why does it feel like there's a draft? Okay. Something is wrong. Do I want to know that we have no roof? Do I want to know that the front door is wide open? Do I want to know that the boiler isn't working and it is a Saturday so it is an emergency call? Do I want to know it is not enough degrees outside? Do I want to know it is not enough degrees inside? And then that is enough self-questioning to be fully awake and need to know some answers. The day has started whether I want it to or not. I called the Heater Guy and made coffee. Then I put on a throw, some warm socks and a cat; turned on the TV; and settled in to wait for the world to be fixed. It is fixed now. Bring on another day! I can take it! We are putting a bow on the boiler and we will go to the basement on Christmas morning to look at our early gift. I am so glad this wasn't Christmas eve. It's Poetry Friday, and I have been busy writing a poem for my Winter Swap partner. And while I was writing and revising... I had to stop and write this one. It kept intruding on my thoughts. I was glad that it did. So here it is. And then go visit more poetry gladness at Jone's Check It Out! And sign up for the Friendship Friday postcard exchange while you are visiting her! I may have to steal that name for something, as we will soon move to Friendship, Maine. Nice name, huh? 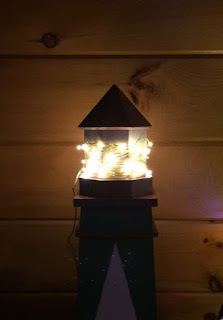 My moving blog is at Gull Haven...it's been a 5 year process, but it seems that it will actually happen almost in time for my husband's retirement at the end of December. In commenting on other Poetry Fridilians posts, I ran across Mary Lee Hahn's challenge to write a haiku a day for December. I'm going to do this for the rest of the month, IF I can make myself sit still long enough. But, hey, a haiku is short. How hard can it be? LOL! But here's my first on the 9th. I just took the dog out, so you can see where my mind was. 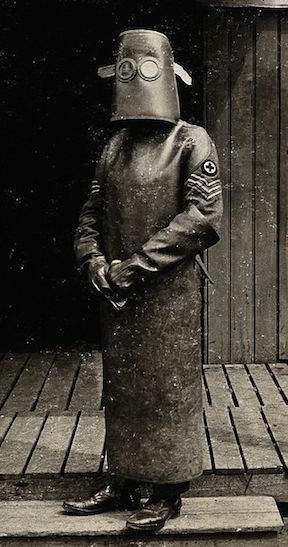 It's cold out there without the winter coat now. I don't change seasons easily. It takes a long time for me to remember that I need to dress differently! It's Poetry Friday. I've not been as "on" lately as in the past. Seems like I have "stuff to do" all the time. But I'm giving it a go today, although I am late. Last week I went to Barnes & Noble just to browse, and I came upon this book (actually I found 2 books, but I haven't started the second one). The book is called Children's Writer's Notebook and features 20 Great Authors & 70 Writing Exercises, by Wes Magee, published by Metro Books in NY and somehow also affiliated with Quid Publishing in England. At any rate, that, for me, is not the important part. The important part for me is that it "saved" my writing drought - or what I see as a drought. I have written some, but not much since the middle of October, feeling like I want to write something that has not gelled yet. Heck, it hasn't even been a liquid thought yet. There is just something there that I can't start - because I don't have the foggiest notion of what it is. I started NaNoWriMo, thinking maybe just the nudge there would be what it took to start. I started and restarted and started yet again, Nothing sounded like it had anywhere to go. I was stuck with a place or a character who didn't know what they wanted to do in life...or my story. Then I found this book. And I've been writing in it. And I've been extending it to documents because a page in a book isn't enough room sometimes. And it gets messy - but I like messy when I'm writing and I miss that on the computer. Sometimes it isn't what the prompt was exactly about. Wow! That one was hard for me to deal with. When asked to write about one thing and then taking off on another version of the prompt felt like cheating, until I lectured myself about how these were not being "graded" by anyone, and that there was no one who cared that you didn't write to the prompt exactly. The goal was to write s o m e t h i n g - A N Y T H I N G !! I also came up with the realization that most of my writing transformed into poetry as I wrote. This WAS NOT what I had in mind. Then I stopped writing in it. I was now at a crossroads - again. Would I keep writing and letting the poems keep happening, or would I try to write prose to hopefully develop part of a story as I had planned. I have to think about this. Or I have to NOT think about this and just DO whatever happens. I think it is time to go back to my book and just do whatever comes out of me. Crud. I'd hoped to find my story I was looking for. So I wrote this. It is not great, but it is something. I've messed with it a bit more in typing it here. This is one of the examples of really not sticking with the plan. The dog was supposed to be doing silly things on its walk - but I just stuck with one focus really. Since a writing challenge is supposed to get you thinking and writing, I guess it is okay. His poor head starts to spin! Or my bark will be sunk!" And that's all that it takes. Putting bark in a mound. With two kinds of chip dips. Then embarks with great pride. Now shakes leaves down from there. And a tree shaking plan. Notes: There are a few things I wanted kids to "get" or learn when I wrote this. (No, that's maybe not true - I never set out to "teach" something with a poem. The poem just happens and then I see what all is in there most of the time!) First the obvious three meanings of bark - tree, dog and ocean vessel (which kids around here are more likely to hear since we are a historic shipbuilding area). Embarking was a fun word to put in there... and of course the phrase "barking up the wrong tree" would have to be worked into the poem. And no poem party would be complete without chips and dip. Okay, now I have to get back to my challenge/inspiration book... I have a cold/flu/fuzzyhead right now, so my current challenge is looking like a cup of tea and my inspiration is going to have to be Netflix or Hulu! 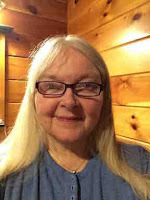 And you need to go visit Michelle Barnes' site to see about that anthology of hers, and to visit our hostess, Brenda Davis Harsham, at Friendly Fairy Tales to read more poetry today and all week! A stronger woman, wife, mother. Determined to be like you. My questions would have answers. Than you should have been able. On Irene Latham's post today, she mentioned titles and how we come by them. I realized this poem had undergone a few title changes on paper and in brain before I settled on its "meant to be" title. "Change"... "Never Too Young to Change Lives"... "Changing Lives"... "Changing Hearts"... and finally - "Change of Heart" - which felt right and to the point of what I wanted to say. Go visit more poets and poems at Irene's place "Live Your Poem" today to celebrate Poetry Friday! Right here in my hoem. and hugs to be caught! But I do want to mention - a Woo-hoo! Nancy Drew Anthology is now available on Amazon in paperback. My poem, "The Missing Mother's Message" is right in there with other poems from other poets. Nancy Drew Anthology is Out! Oh, back a couple of days ago, I saw Michelle's post about YOU JUST WAIT: A POETRY FRIDAY POWER BOOK by Sylvia Vardell and Janet Wong and the shape poem prompt. And I started fiddling about with this round poem. I wanted to fill it with all sorts of references to round in many of its meanings also. See how many you can find... though some of it is in the actual meaning of the text, too! Good luck. I don't know the answer - just warning you! Okay, Tabatha - I did it! It's a tongue-twister! Now go enjoy more poetry at Karen Edmisten's blog. Visit today and all week! Now I have to remember all that I needed to say... and the rhyming MUST stop for now - quite enough... Okay. I have to add one item that slipped my mind. The refrigerator magnet got forgotten in a shuffle. 1. 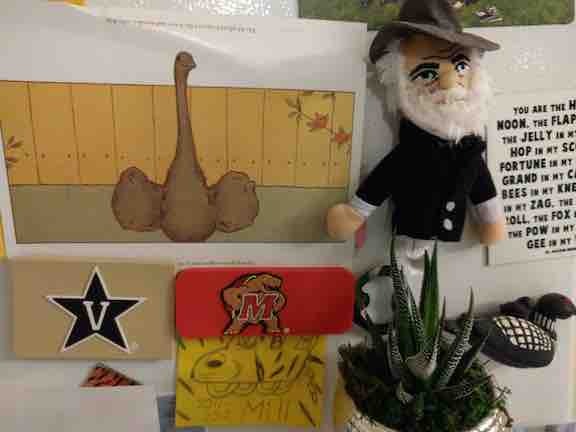 News - Tabatha Yeatts won the refrigerator magnet! Not sure if she's sharing it today, too, but here it is. It's the picture she sent, and my poem to go with it. The term, "Ice-olated", is from about 30 years ago or more, when my son was 5 or younger, and used it when he was being a superhero and wanted to "isolate" me, or encapsulate me in ice - his meaning. I loved it, and had to use it some day. 2. I'm skipping my anniversary poem that I said I would do. But will say that last Friday, for our 44th wedding anniversary, we traveled down to PA to the Sight and Sound production of "Samson". It was fantastic. It was our second time going to a production there, and it was as impressive this time as the first. The pillars crumbling at the end was especially well done! 3. Views - Buffy Silverman's poetry exchange poem came to me just after posting a couple of Friday's ago. She sent me a beautiful poem and some milkweed seeds. I think I will be planting them this fall up at Gull Haven where we will hopefully be living by the time they are in bloom! devouring one leaf after another. How amazing to be a butterfly that has just emerged to a new life! I often wonder what they think of this transformation - or if they do at all. 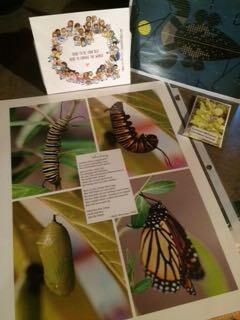 Thank you, Buffy, for a gorgeous poem full of the marvelous, mysterious ways of these milkweed munchers! Thanks for the seeds, too! September's treat at school was always the releasing of butterflies for their trip to Mexico. Hope I can attract some to our new home. 3. Woo-hoos - Silver Birch Press is including my pantoum, "The Missing Mother's Message", in their Nancy Drew Anthology that is coming out later this month! I'm very excited about seeing my poem in print in a real live book. I am pleased as punch. Oh, and it has a wonderful cover, that I cannot show just yet. It will be available online through Silver Birch Press soon. Here are some links to where the anthology may be purchased - for those interested in reading Nancy Drew inspired poems! 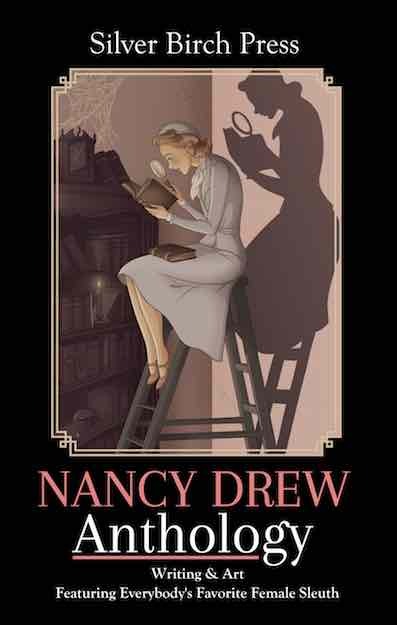 I'll post these links again when the Nancy Drew Anthology is actually available! (yes, only one "s" here in "pres". Thank you for reading! I know this was longer than one post. Each item could have been one post, but it all had to be said now! 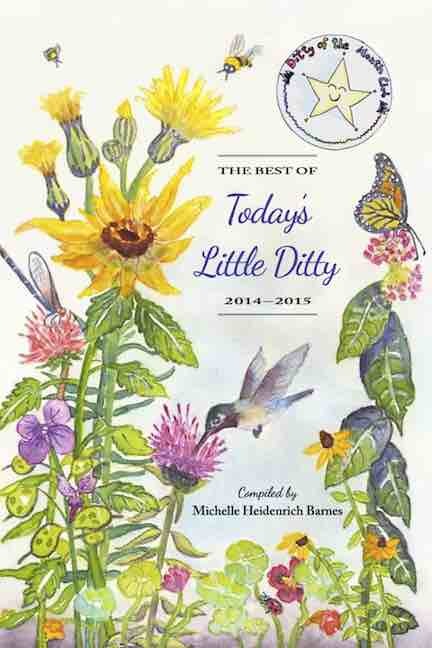 Stop by for more poetry goodness at Michelle's place - Today's Little Ditty! You won't be disappointed! As I visited Poetry Friday offerings ... a bit late because my husband and I made a quick decision to go to PA and see the Sight and Sound production of "Samson" for our anniversary Friday night! (amazing, amazing, loved it, loved it)... I went to Carol Varsalona's poem "Summer Moved On", and as I was commenting, I found I was beginning a poem. So I stopped and moved it over here! I should keep track of how many poems I've written because I've read a post and my comment to it became a poem. It has happened a number of times. I thought it was a fluke probably the first time, but now I'm realizing what rich soil I'm blogging in! There is inspiration and motivation and instigation wherever I look, listen or read! Get left in our dust? reading Carol's post on Friday AND somewhere that I can't recall now, the word "yesterday" struck me. And the two together started to mesh and mush into a question of where we are in the cycle of the seasons... are we the ones moving or are the cycles? Are they coming up from behind or are they in front of us? Either way, it seems like only yesterday that summer was here. It's Poetry Friday! Today's poetic offerings are being hosted by Amy Ludwig VanDerwater at The Poem Farm! Thanks, Amy! First, I want to post a poem I wrote on the spur of the moment when I was looking for Kiesha Shepard's blog. 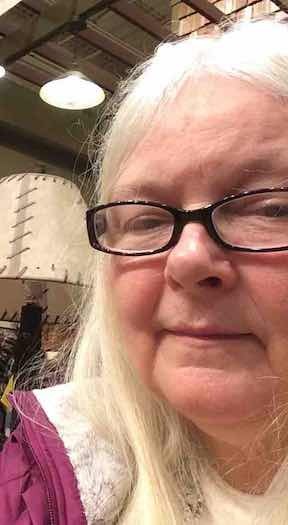 I searched and found her From Pens to Paint blog where she tells of refinishing furniture. 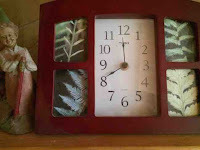 While on From Pens to Paint, I came across this post about some end tables she'd painted using "flour sack white milk paint". Some words came to mind which I had to write down. Where the paint has peeled. Then I can't not mention that today is our 44th wedding anniversary. The love of my life and I have been married, happily, for 44 years today. We met on the first day of my Junior year in college - his Senior year, were engaged by Christmas, and married a week before starting my Senior year and his Graduate studies. When it is right, you just know it, so there is no wasting time. I made my wedding gown, bought a yellow rose to carry, hand wrote in calligraphy (the best I could learn in a couple of weeks) all my invitations and reply cards, bought three different sized marble cakes to stack and decorate with yellow on my own, found a cute church, a willing minister to marry us and church ladies to supply sandwiches, chips, pickles, lemonade and coffee. My brother took pictures of the wedding, my dad paid Guy Grube (the minister), we got hitched... and are staying hitched for life! Staying married was a given. The D word never got mentioned. That was never an option. And so we learned to grow together. I think today, some or many just assume that divorce is an option if (and there is never an "if" because they will) times get tough. We did not expect things to always run smoothly, but we did expect that we would see them through together and come out on the other side better for it. Nowadays we too easily decide to give up. Early on my parents told me that you can't run away from yourself. A new place was not going to fix things. What needed to be fixed was inside you. And that is how I've lived my life, and so has my husband. We do not live a drama-filled life, as we are led to believe is the norm from tv... there are no "in your face" moments. There are no statements or ultimatums thrown out that are hard to come back from. "If you can't say something nice, don't say nothing at all..." has always been our motto - thank you Thumper. That said, though, I must say that my husband makes it easy to say nice things. I think I chose well in the husband department. I have a poem started that I wrote for him, but I'm not satisfied with it yet. So it will have to wait. I cannot always just make a poem happen, I guess. Sometimes I can. This time I can't! So, again, "If you can't say something nice, don't say nothing at all!" 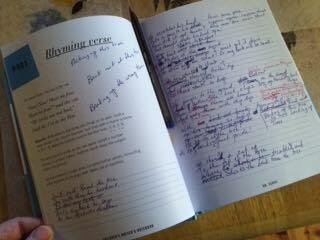 It's Poetry Friday, hosted this week by Penny at A Penny and Her Jots. And today I'm sharing the last poem exchange of the summer, organized by Tabatha Yeatts. My last partner for this year's round is Carol Varsalona! She seems to have done her homework and enjoyed the "assignment" in this year's summer poetry exchange. Carol has kept up with my recent motorcycling adventures, as well as drawing from my April A to Z Challenge where I wrote poetry based on vanity plates in Maine! 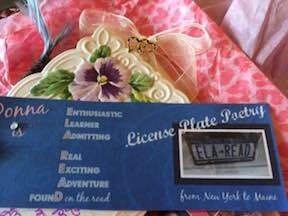 Since Carol also has a vanity plate, she used her plate to write a creative acrostic and print it up on a bookmark with plenty of sparkle! 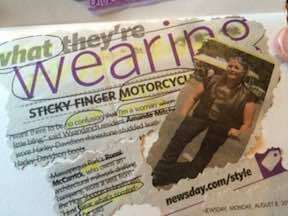 She also found a newspaper article on women bike riders and used the article to create a Found Poem. Carol also supports a charity that brings education and sustainable living to Masese, Uganda. The women there make beads and string them into jewelry, selling them to raise money to care for their families. Carol sent along a beautiful string of ocean blue beads - a certain conversation piece to wear and bring awareness. 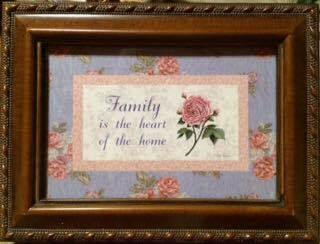 Thank you, Carol, for your multi-faceted gift! Sweet, sweet, sweet! I still can't believe I did this... that I'm DOING this! If you'd asked me three years ago if I'd ever ride a motorcycle, I'd have laughed and not even have taken the question seriously. Three years ago I was having trouble seeing. I couldn't drive a car at night. I could barely drive in the daytime. My back hurt. I could not walk or ride long distances easily. I was having problems with gluten (though I didn't know what it was that was making eating an iffy thing). Got my cataracts fixed in the fall of 2013... things literally started looking good. In 2015, I discovered gluten was ruining my life and cut it out... things started working well. In 2016, I lost 50+ pounds... everything became easier and less painful to do. I can see, I can eat, I can move! I am not the same person I was three years ago... but I'm kinda feeling like the person I was 30 years ago. Thank you everyone for the wonderful poems this summer! 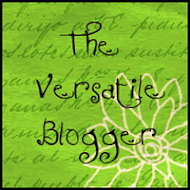 I feel so blessed to be in this group... why, 6 years ago, I wouldn't have said I was a writer (no commenters on anything posted for those first three posts!). And I didn't know any writers. But everything has changed. And I like every single change. or have some changed their gown? Happy Poetry Friday! 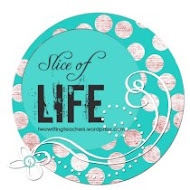 Today's fun is hosted by Heidi Mordhorst at My Juicy Little Universe. Now, contrary to the poem below... there is a time-limit here. Yes, there is such a thing as "late". So, HURRY! There are a couple of days left. Four days before September 1! I will be assembling materials to create a cool refrigerator magnet for someone! Maybe it will be you. Get me your offering of a picture and a writing (preferably a poem, but prose is fine) about your refrigerator by end of day August 30 or point to it in the comments! Next Friday, I will announce the winner and reveal the stone/tile magnet prize featuring your picture, poem or both picture and poem. Or one I’ve just made up, just for you. You can tell me which you’d like if your name is the one drawn from my motorcycle helmet. It's the Great Refrigerator Race... of sorts. I've been busy lately so haven't been writing much. Visited grandkids and have been riding some. Been restless and less sitting as I lose weight. Down 49.5 pounds as of yesterday... holding steady today. I am over halfway to where I want to be... though I don't know where I want to be as I am pretty happy already where I am... a lap to sit on for grandchildren... able to walk a long distance... able to hoist a leg over a motorcycle and ride... finding chords on my mandolin that has waited for me in the corner of the bedroom... restless is where I am. I have a feeling there is something I'm supposed to do soon, but it hasn't presented itself in full yet. I'm getting glimpses and inklings, but it's too foggy and dim yet. Meanwhile, I will put in another load of laundry, help some homeschoolers learn to read, try to focus on my houses - cleaning and selling this home and moving to Gull Haven soon (was supposed to be this summer, but looks like maybe this winter). As you may or may not know, it is Refrigerator Month here, and I'm featuring refrigerator stuff all August long! If you have a refrigerator "thing" you want to share - a picture, poem, prose - Link at the linky at the "Refrigerator" tab above, or send me an email. I will put it right here, as I am doing with Tabatha's today! 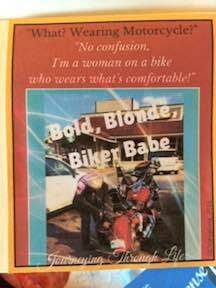 And I will put all the names in a motorcycle helmet and draw one out for a grand prize of a stone tile refrigerator magnet, featuring something you sent in... or your choice of picture/verse... So far, Tabatha wins... I will check my email again, but I don't think there is another entry and we are half-way through the month! "Another Shot from my Fridge"
"I guess the subject line says it all. 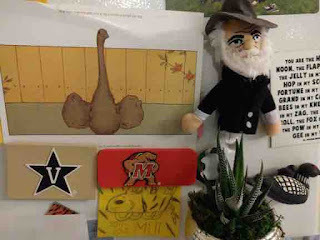 We got Walt Whitman finger puppet magnet recently -- I think of him as "Uncle Walt." Joy's postcard is one that you read rightside up and upside down (it's an elephant upside down). Clever!" It's Poetry Friday hosted by Julianne at To Read To Write To Be. Go visit to find more poetry gems by poetry miners! 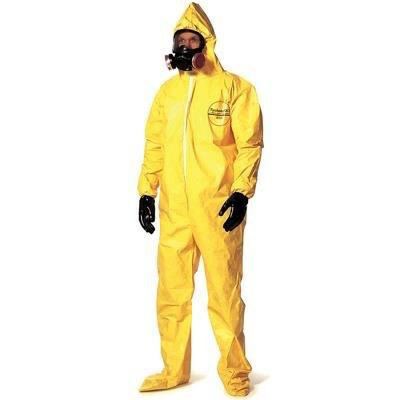 Cleaning is a dreadful chore. So I was just browsing around on the Internet today and came across Refrigerator Wraps. And since this is refrigerator month, I'm featuring this. I have nothing to do with this company, so if you decide to redecorate your refrigerator using a cool wrap, I don't get a penny! Or a dollar... or even a cold drink. They sell heavy duty vinyl adhesive covers for refrigerators, to transform them into vintage and custom designed refrigerators. They look pretty amazing and seem especially good if you have a not-so-new looking refrigerator that you'd like to spruce up! I imagine that refrigerator magnets would still work with this coating on it, but you may need slightly stronger ones, or just keep posts off the refrigerator so people can see the new look. It might be nice to have a refrigerator that looks like a bookcase full of your favorite books, but the front of a VW is nice, too! I'm hoping to have some refrigerator posts from some of you soon! But if not, it's still been fun and I'll just order myself a stone refrigerator magnet, I guess. I WIN! Click on the REFRIGERATOR link above to put in your link to a refrigerator blog post, because I don't want to be the one to win. If you don't have a blog but want to submit something, send it to d+J+T+s+1+9+7+2 then the at symbol and y+A+h+o+o+dot +com. Is that cryptic enough not to get a bot's attention? I hate spam. But that is my email that is full of commercial and spam emails. I'll have to look carefully for yours so leave a comment letting me know you've sent me something! Also check or tweet at #mycoolrefrigerator!